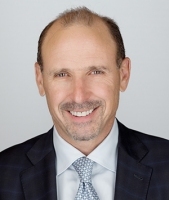 Mitch currently serves as the Chief Investment Officer of Chicago Capital Partners in addition to his role as Co-Chief Investment Officer of Kovitz Investment Group. Throughout his nearly twenty years in the investment industry, Mitch has been responsible for evaluating public equities, fixed income instruments and derivatives in the management of portfolios for high net worth individuals, institutions, hedge funds and mutual funds. Since 2002, Mitch has utilized his expertise gained in public company valuation to evaluate private investment opportunities, which he and his partners sought to expand through the creation of Chicago Capital Partners in 2011. Mitch has been featured in publications such as: Crain’s Chicago Business, the Chicago Tribune, the Chicago Sun-Times, and Value Investor Insight. In addition, he has been interviewed on Bloomberg broadcast television. Mitch graduated from the University of Illinois at Urbana-Champaign in 1986 with a Bachelor of Science degree in Accounting. He became licensed as a Certified Public Accountant in August 1986, and received a Masters in Taxation from the University of Illinois in 1987. Mitch is a CFA Charterholder.